Last time in Paris, I made it a goal to sample as many different flavors and brands of macarons I could. This time around, I haven’t been so diligent. I blame it on the colder weather and earlier sunset (yes, mother nature), both of which make it more difficult to walk around the walkable city as much as I did in the summertime. Anyhoo, I made up for lost time today by paying Pierre Hermé a visit, namely the location at 72 Rue Bonaparte. Coing (Quince) , Marron et Thé Vert (Chestnut and Green Tea), Chocolat et Gingembre Confit (Chocolate and Candied Ginger). 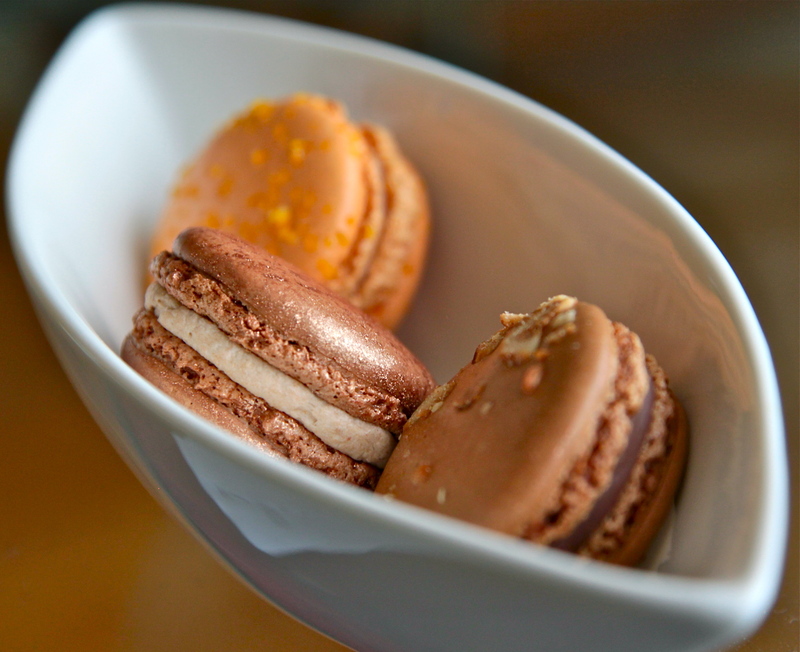 The ginger confit packed a nice spice to pair with the dark chocolate. The others were neither memorable nor texturally pleasing. 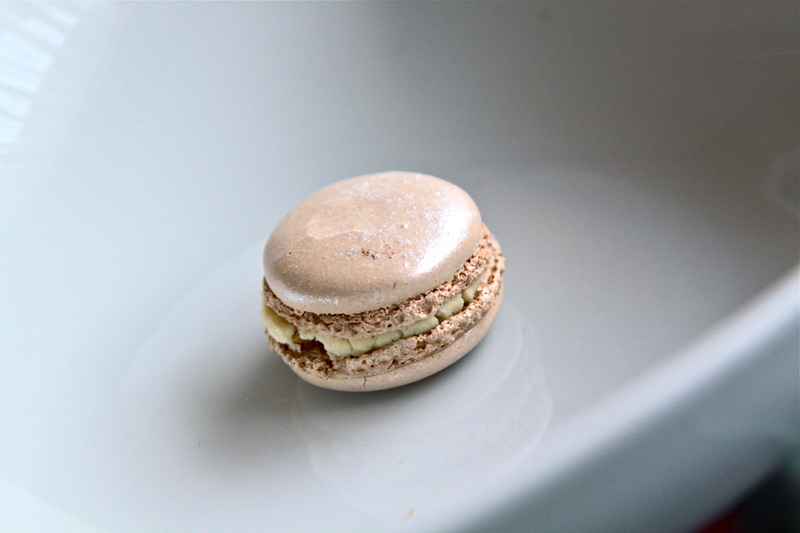 I liked this savory macaron and this is coming from a non-lover of truffle oil, having lived, eaten and breathed truffle oil every day for a year at O Ya. Oui, c’est possible to be all truffled-out. This entry was tagged Le Cordon Bleu, macarons, Paris, pâtisserie. Bookmark the permalink. I’ve never had enough truffles to be truffled out yet. Lucky you! 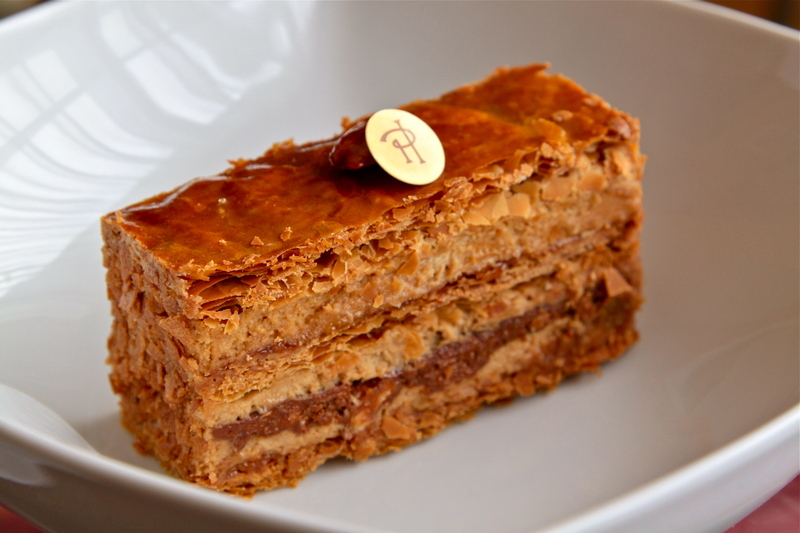 PH’s praline millefeuille is one of my fav. too. Great photos! Hi. Google brought me to your blog in a research effort for food-ing in preparation of my first visit to Paris. Good stuff! I will be looking for some of those (great) photos.